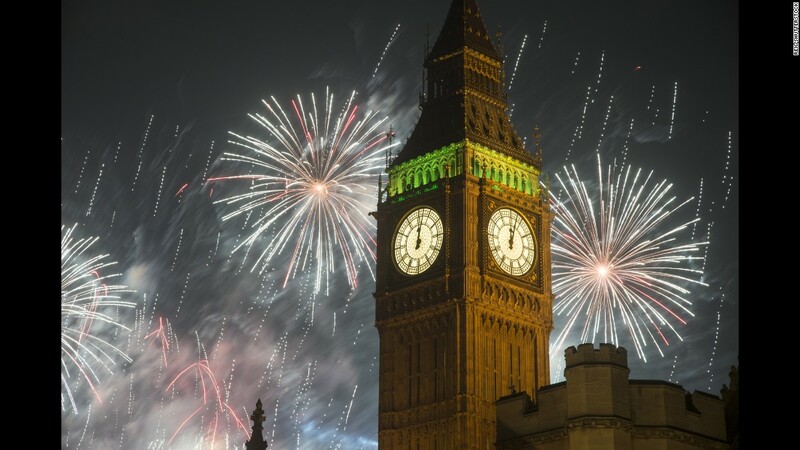 January 1, 2015 – U.K – New Year’s fireworks explode over Big Ben in London. January 1, 2015 – New Year’s fireworks explode over Big Ben in London. 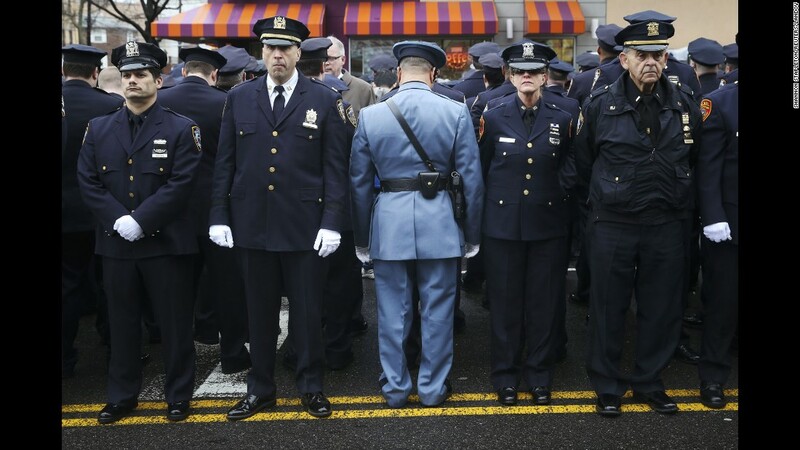 January 4, 2015 – U.S. – Law enforcement officers stand outside the funeral of fallen New York police officer Wenjian Liu. Some officers turned their backs while New York Mayor Bill de Blasio spoke on a monitor. The mayor’s critics believed his comments after the death of Eric Garner contributed to an anti-police sentiment that led to the shootings of Liu and his partner, Rafael Ramos. January 4, 2015 – New York, US. – Law enforcement officers stand outside the funeral of fallen New York police officer Wenjian Liu. Some officers turned their backs while New York Mayor Bill de Blasio spoke on a monitor. 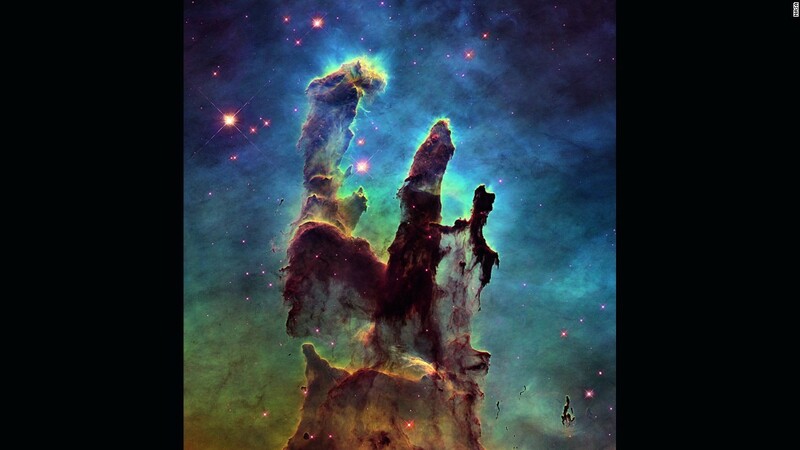 January 6, 2015 – U.S – NASA releases a stunning new image of the so-called Pillars of Creation, one of the space agency’s most iconic discoveries. The giant columns of cold gas, in a small region of the Eagle Nebula, were popularized by a similar image taken by the Hubble Space Telescope in 1995. January 6, 2015 – in US. – NASA releases a stunning new image of the so-called Pillars of Creation, one of the space agency’s most iconic discoveries. The giant columns of cold gas, in a small region of the Eagle Nebula, were popularized by a similar image taken by the Hubble Space Telescope in 1995. 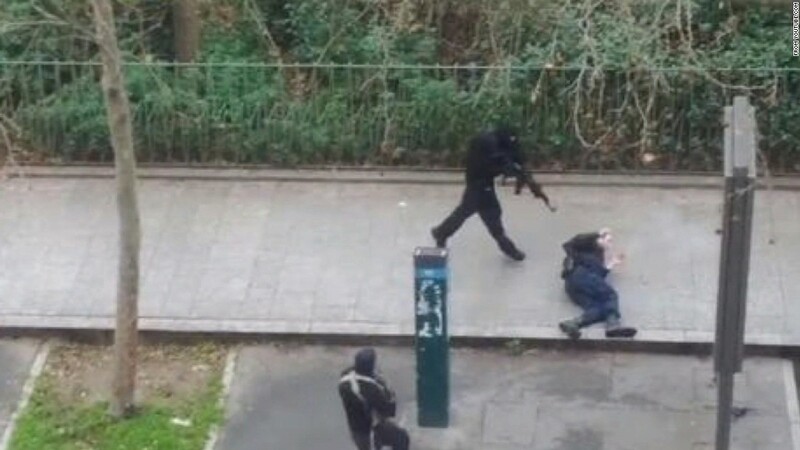 January 7, 2015 – France – A masked gunman runs toward a victim during a terrorist attack at the Paris office of Charlie Hebdo, a French satirical magazine. From January 7 to January 9, a total of 17 people were killed in attacks on Charlie Hebdo, a kosher grocery store, and the Paris suburb of Montrouge. Three suspects were killed by police in separate standoffs. Al Qaeda in the Arabian Peninsula claimed responsibility for the attacks. January 7, 2015 – in Paris, French. 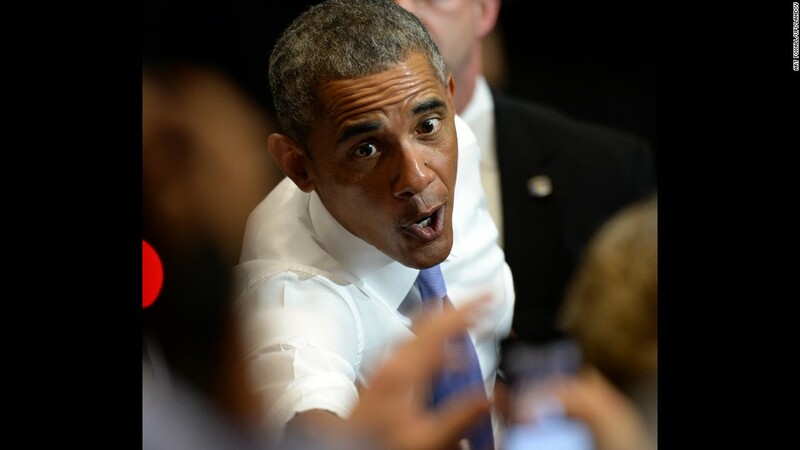 January 8, 2015 – U.S. – U.S. President Barack Obama reaches out to shake hands with someone after he had just spoken in Phoenix about the housing market and the economy. January 8, 2015 – in U.S. – U.S. President Barack Obama reaches out to shake hands with someone after he had just spoken in Phoenix about the housing market and the economy. 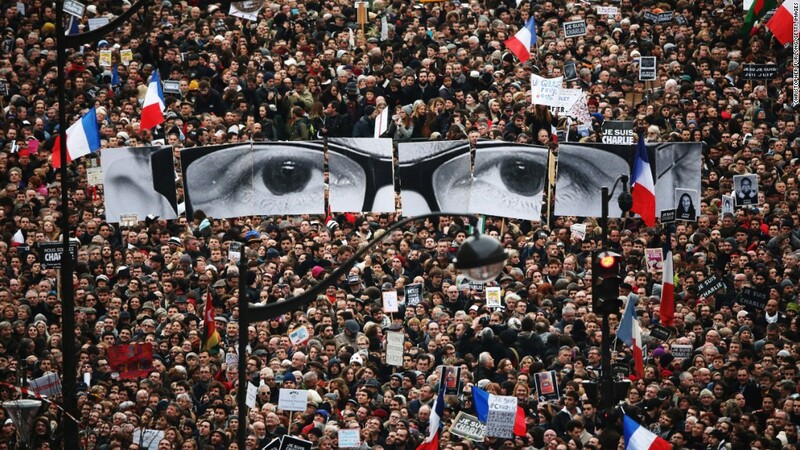 January 11, 2015 – France – The eyes of Charlie Hebdo editor Stephane Charbonnier appear at an anti-terrorism rally in Paris. More than a million people took part in the demonstration, a gesture of unity just days after Charbonnier and 16 others were slaughtered. January 11, 2015 – France. 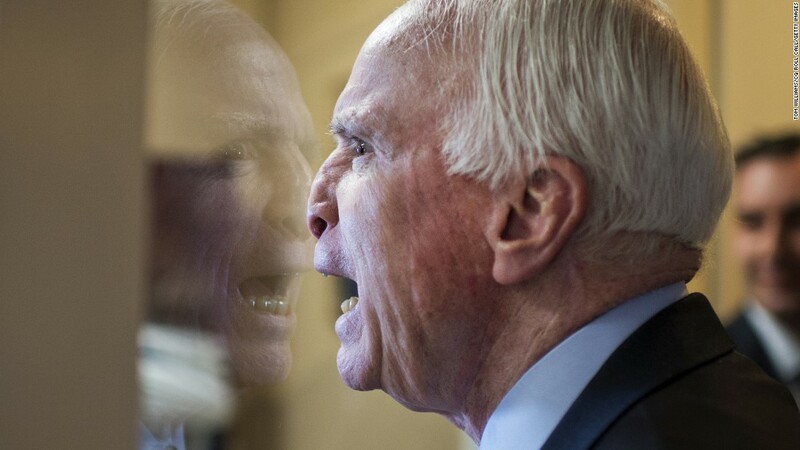 January 13, 2015 – U.S. – U.S. Sen. John McCain fools around with colleagues upon arriving at a news conference in Washington. January 17, 2015 – Philippines – Pope Francis wears a plastic poncho as he waves to well-wishers after a Mass in Tacloban, Philippines. During his five-day trip to the country, the Pope visited areas devastated by Typhoon Haiyan in 2013. 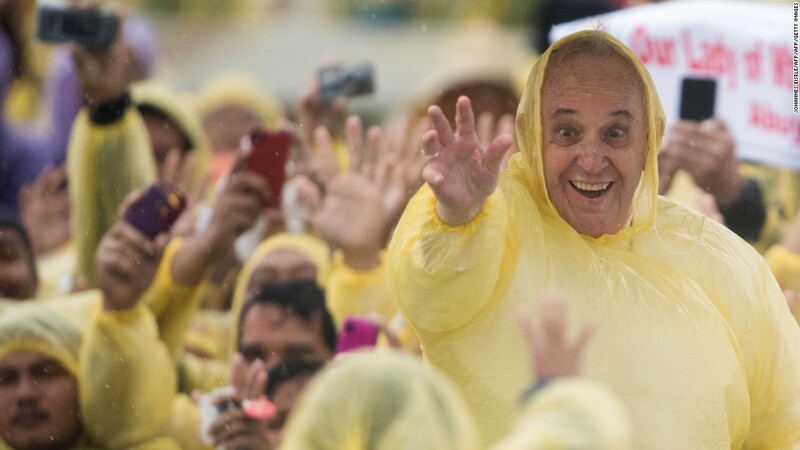 January 17, 2015 – Pope Francis wears a plastic poncho as he waves to well-wishers after a Mass in Tacloban, Philippines. During his five-day trip to the country, the Pope visited areas devastated by Typhoon Haiyan in 2013. 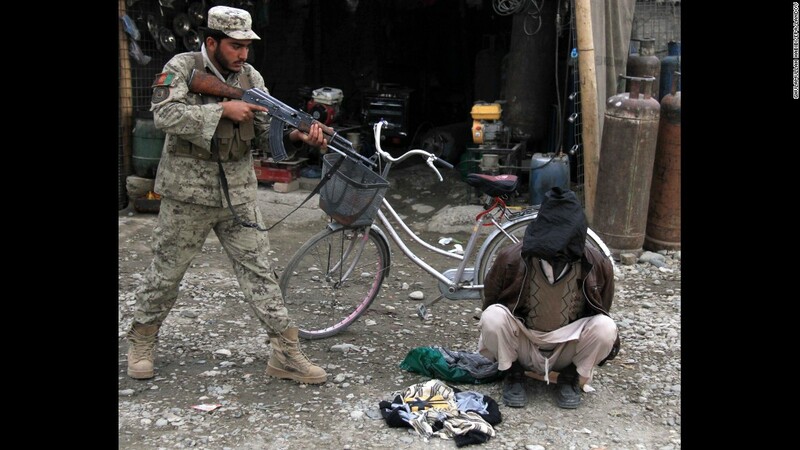 January 20, 2015 – Afghanistan – An Afghan security officer aims his weapon at a man who was allegedly planning a suicide bomb attack in Jalalabad, Afghanistan. 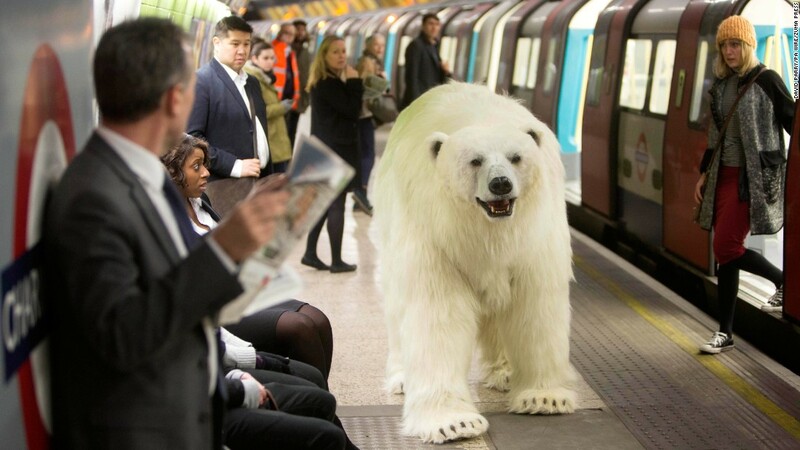 January 27, 2015 – U.K. – An animatronic polar bear visits the London Underground to mark the launch of “Fortitude”, Sky Atlantic’s new TV drama. 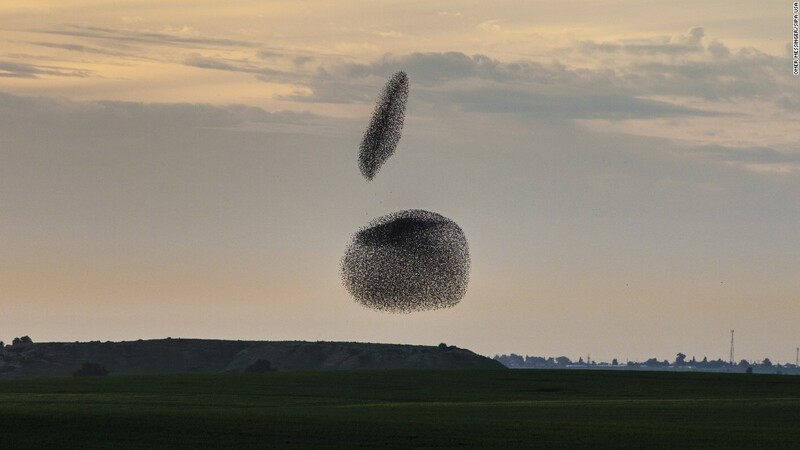 February 2, 2015 – Israel – Starlings fly together before sunset in Rahat, Israel. 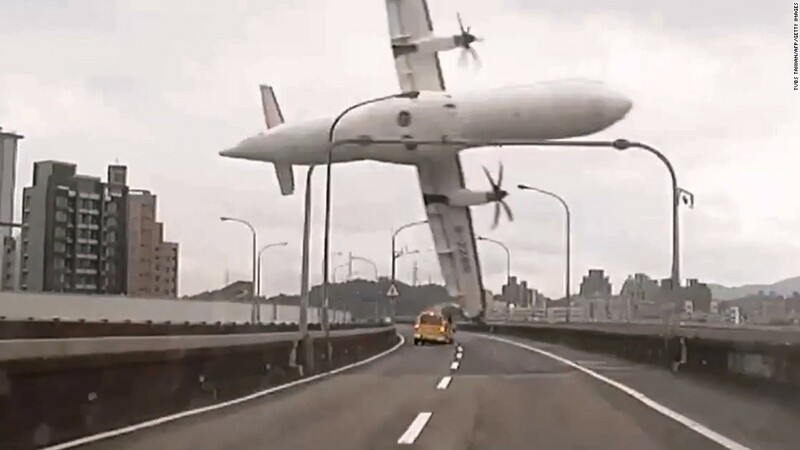 February 4, 2015 – Taiwan – In this still image taken from video, TransAsia Airways Flight GE235 clips a bridge in Taipei, Taiwan, shortly after takeoff. The twin-engine turboprop airplane then plunged into the Keelung River. There were only 15 survivors among the 58 people on board. Pilots had grappled with engine problems before the crash, Taiwan’s aviation safety agency said. February 4, 2015 – Taiwan – TransAsia Airways Flight GE235 clips a bridge in Taipei, Taiwan, shortly after takeoff. 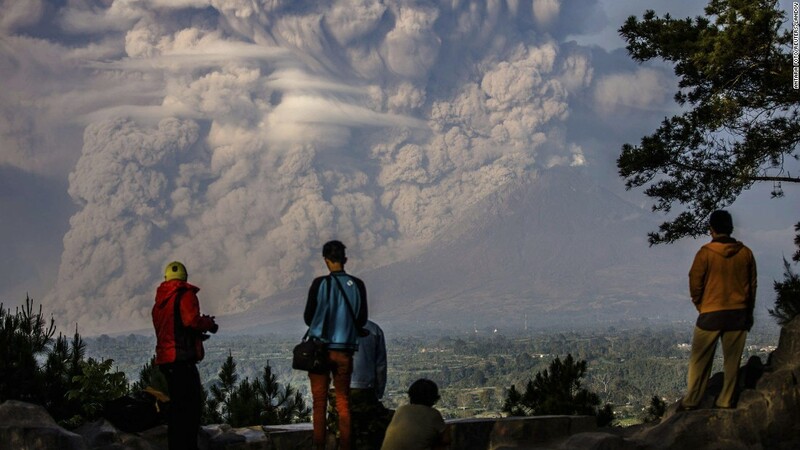 February 9, 2015 – Indonesia – People watch as the Mount Sinabung volcano shoots ash into the air during an eruption in Karo, Indonesia. 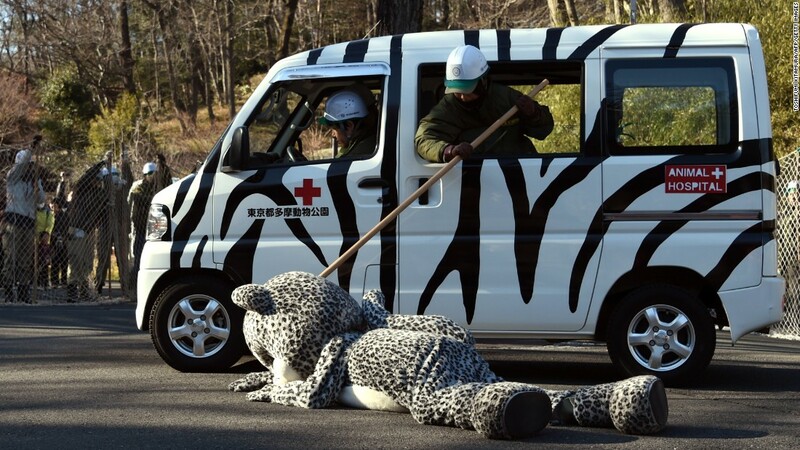 February 10, 2015 – Japan – An employee from the Tama Zoo in Tokyo pretends to check a tranquilizer’s effectiveness on an employee wearing a snow leopard suit. The annual drill practiced what to do in the event of an animal escape. 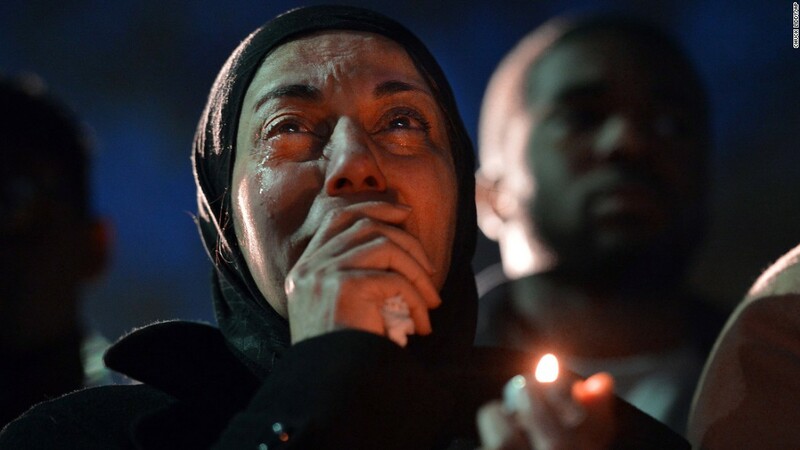 February 11, 2015 – U.S. – A woman cries during a vigil as she sees photos of the three people who were killed at an apartment near the University of North Carolina at Chapel Hill. Three Muslim students — Deah Shaddy Barakat, 23; his wife, Yusor Mohammad, 21; and her sister, Razan Mohammad Abu-Salha, 19 — were found shot to death a day earlier. A 46-year-old suspect, Craig Stephen Hicks, was charged with murder. 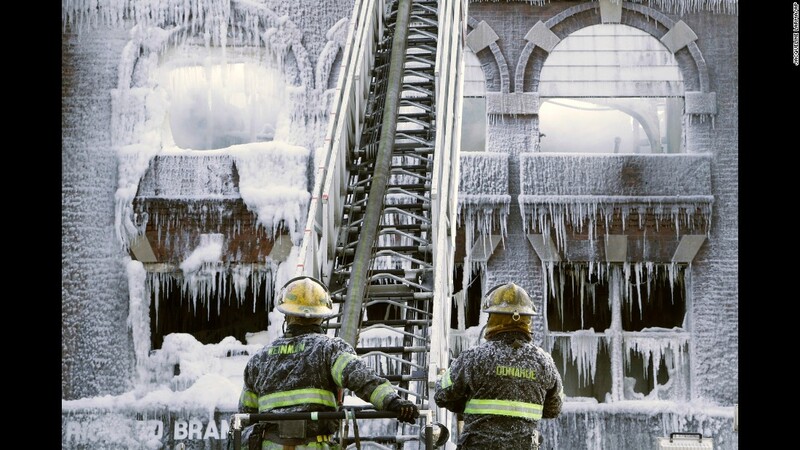 February 11, 2015 – U.S.
February 16, 2015 – U.S. – Philadelphia firefighters work at the scene of an overnight blaze. The cold weather made icicles out of their water. February 11, 2015 – U.S. Philadelphia firefighters work at the scene of an overnight blaze. The cold weather made icicles out of their water. 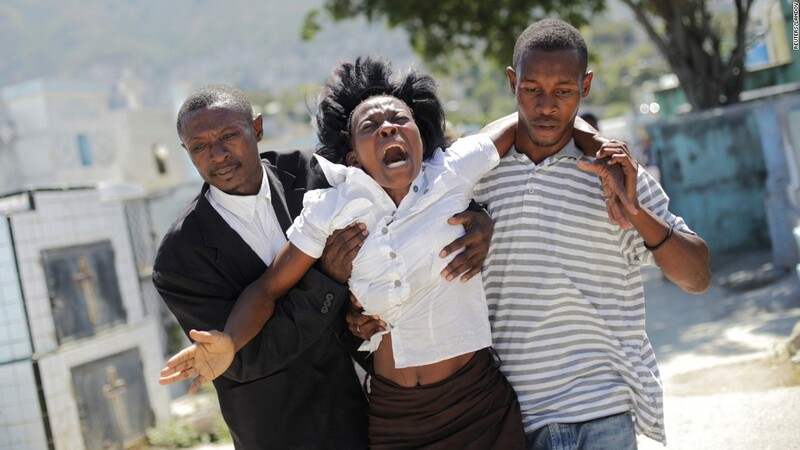 February 21, 2015 – Haiti – A woman reacts as she walks to a cemetery to attend the funeral of Carnival stampede victims in Port-au-Prince, Haiti. At least 16 people were killed during an accident involving an electrical shock on a float, government officials said. Video from the scene appeared to show a power line striking a man atop a float. Chaos erupted, and revelers ran in all directions. Officials canceled Carnival activities and declared three days of national mourning. 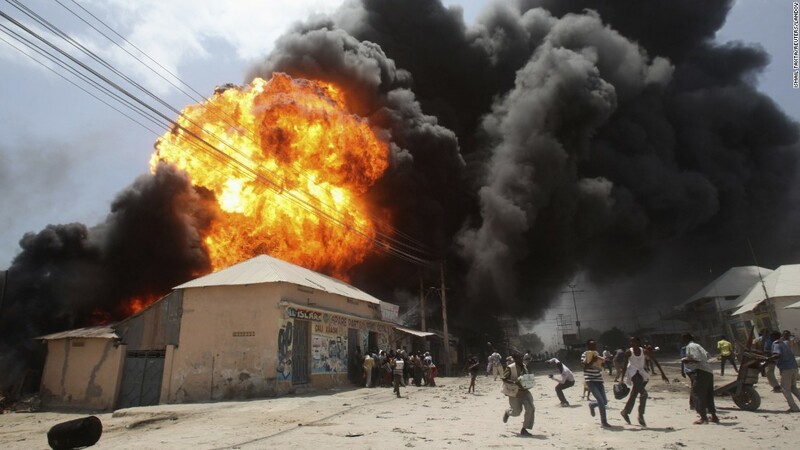 February 23, 2015 – Somalia – People run from an explosion at a gas station and storage facility near the Bakara market in Mogadishu, Somalia. 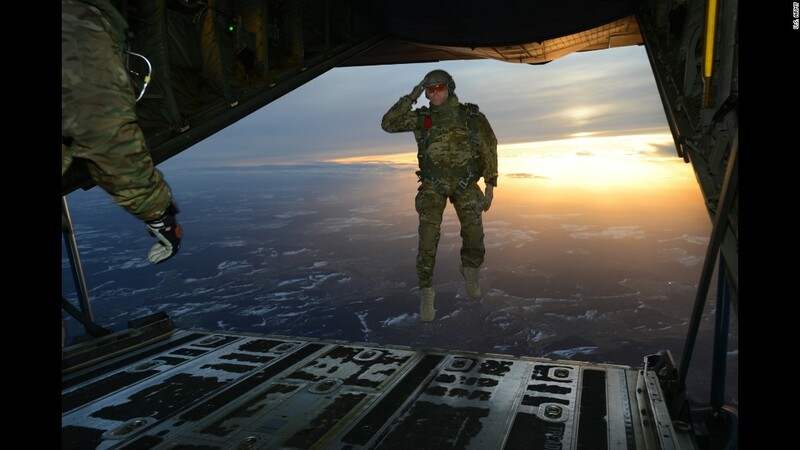 February 24, 2015 – Germany – A U.S. soldier salutes while jumping out of an aircraft in Germany. February 24, 2015. A U.S. soldier salutes while jumping out of an aircraft in Germany. February 26, 2015 – Gaza – Children stand next to a Banksy mural on the remains of a destroyed house in Beit Hanoun, Gaza. The house was destroyed last year during fighting between Israel and Hamas. February 26, 2015. 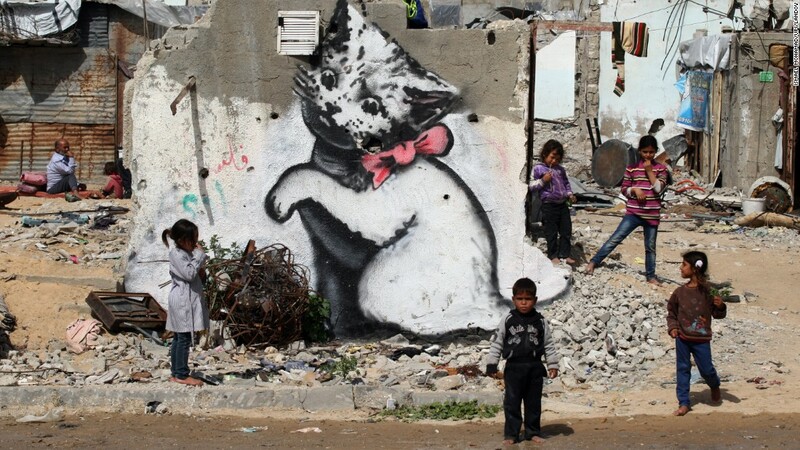 Gaza – Children stand next to a Banksy mural on the remains of a destroyed house in Beit Hanoun, Gaza. The house was destroyed last year during fighting between Israel and Hamas.